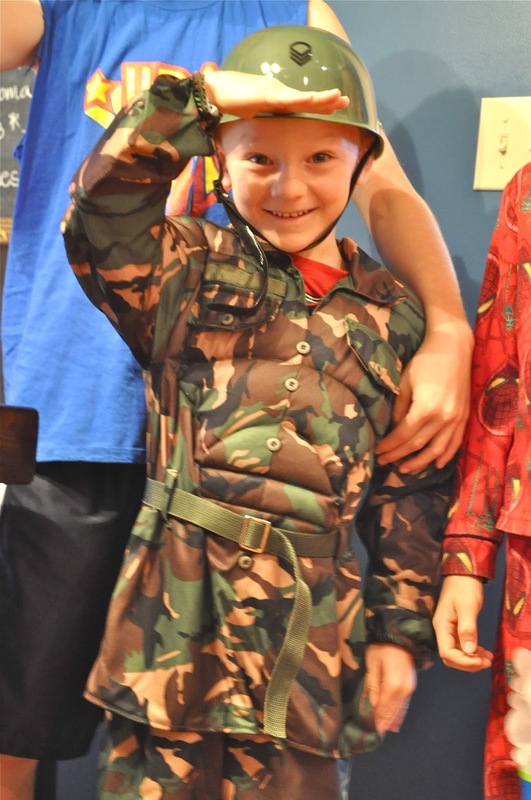 Last Friday we celebrated our son, Henry's, 6th birthday. For about two weeks leading up to the big celebration, he would come to me, every day, and ask, "How many days until my birthday?" Then, he would run off to share his excitement with his brothers, it didn't matter where we were on the countdown. 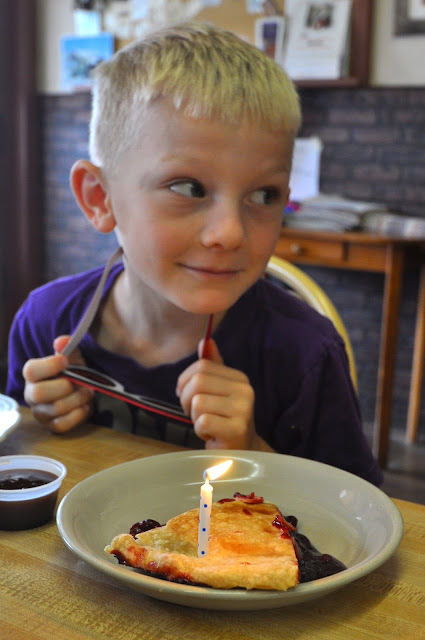 With the craziness of the move, the business of school and navigating a new community, I wasn't prepared for Henry's birthday, and didn't know exactly how we would celebrate. I felt inclined to keep it simple, to keep it small, as we don't really know very many people here yet. But, Henry had other plans. Earlier last week, he and George took off on their bikes without telling me. They were on a mission to find the perfect birthday party spot. The moment I realized that they were gone, I bolted out the front door to the car, only to find them cruising up the street toward home on their bikes, grins as wide as the road. "Mom!! I found it!! I found the perfect place to have my birthday party!! I want to have it in the gazebo at the park. Ya know why, mom? Because, I have made so many friends since we have moved here, Mom, but I just don't know their names. If they see me at the park on my birthday they will want to come over and play with me. Isn't that a great idea, Mom??" It was a great idea. No blow up bouncy things, no hours of covering the house in Lego Ninjago decorations, just a simple outdoor get together with a few friends at the park. Perfect! Every birthday at our house begins with birthday breakfast. The tradition is always the same, the honorary son wakes up to a long succession of hugs and shouts of "Happy Birthday!" The breakfast table is covered with gifts carefully chosen and bought by the brothers and a steaming pan of caramel rolls (see the easiest recipe EVER below) made with love by mom. We look at baby pictures, and share our favorite memories and stories of the birthday boy. It is truly wonderful, and the children all look forward to it with great enthusiasm. Ben, Andrew and George gave Henry an army suit and a camo watch, which of course he loved and had to put on right away! After a morning of school, Steve and I surprised Henry and took him down to the local cafe where his grandparents met us for lunch. The look in his eyes, the one that radiated "I feel so special" from his overflowing heart, couldn't be missed. He smiled ear to ear all through lunch, repeating sweet little "thank-you's" after every gesture of kindness to everyone at the table. Who better to discuss the fine art of weaponry with than Grandpa Bob? What's a birthday lunch without some party attire? Even mom got wrangled into the wildness! I'm sure the locals didn't notice. Hello, there, never mind the coo-koo table over here! When the kind ladies at the cafe found out it was Henry's birthday, they surprised him with a slice of their famous cherry pie, and everyone, strangers included, sang their very best Happy Birthday song to him. Stuffed with burgers, fries and pie, we all scurried home, the children to play with birthday gifts, and I to assemble the cake, prepare a few last minute details for the park party, and to whip up the requested birthday supper of BBQ meatballs with all the fixins. I think that PB & J would have suited him just fine, because he hardly touched his supper. No six year old is interested in BBQ when there's a party to get to! Every year the boys choose carefully the cake they want me to make for them. Henry requested a Lego Ninjago cake, which was a bit of a challenge to decorate, but in his eyes, it turned out perfectly fine. Yay! Later that night, after everyone was tucked in and sound asleep, Steve and I plopped down on the couch recounting the days' events, our memories brimming with goodness, our hearts filled with gratitude for the precious joy that Henry has been to us. I'll never forget the kneeling before the Blessed Sacrament the night before Henry's birth, leaning beside Steve for support, begging the Lord to be merciful, to bless me with a short labor and delivery. 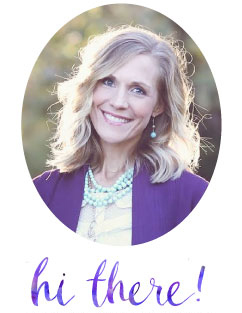 My pregnancy with Henry had a grueling one, and at the end of nine months I possessed little strength and even less confidence that I could endure another lengthy birth process. Three short hours after the first contraction, I was holding our fourth little blessing in my arms. The Lord had indeed answered my prayers! I recall that memory often, Henry, as I watch you scamper around the house, running as you please from place to place, never walking, preferring to take every step, here and there, with quickness and determination, just the way you came into the world. I will also remember today, the day you turned six, and the way you took such great delight in everything that this day had to offer, a delight that spilled out with gratitude towards others with a smile that never stopped shining. 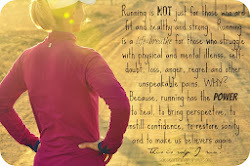 Thank you for giving that to us, to me, especially. I was able to sit back and truly enjoy all of your uniqueness today, because you allowed me to keep the ceremony simple. You asked for so very little, I almost felt guilty. But, in the littleness, I wasn't distracted with the assembling of goodie bags, decorating the house with themed decor, making sure the bouncy blow-ups didn't fall flat, that no figity fingers accidentally strayed toward the cake. We just enjoyed you, Henry James Augustine, and that, my son really is what the celebration of a birth day is all about!! P.S. 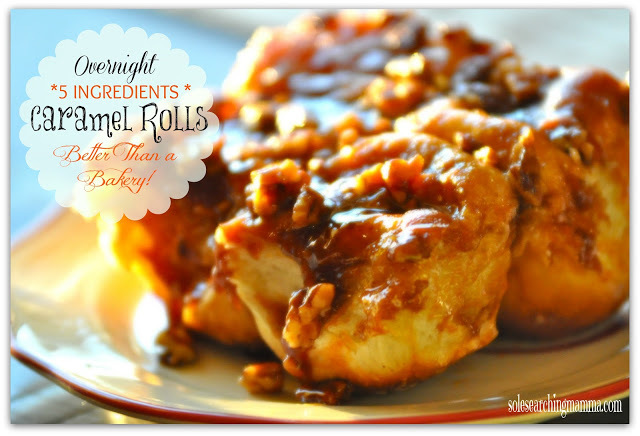 Here's the recipe for the traditional birthday breakfast caramel rolls! 1. Spray a 9 x 13" pan with cooking spray. 2. Sprinkle 1 cup chopped pecans on the bottom of the pan. 3. Top pecans with 2 dozen frozen rolls (I like Rhodes). 4. Sprinkle with one package of dry butterscotch pudding - the cook type. 6. Melt 1 stick of butter and drizzle over the top. 7. Cover with Saran wrap and let rise on the counter overnight. 8. In the morning bake at 350 for 30 minutes. 9. Turn rolls over onto a cookie sheet, and scrape out any extra goodies from the bottom of the pan over the top of the rolls. Serve immediately. Watch you family or your guests faint! Happy (late) birthday to Henry!!! What a beautiful day you and your family enjoyed. I love the camo outfit from the brothers! And I think that simple is the way to go - kids seem to actually prefer the simple and our time. And - that cake is beyond impressive!!! What a wonderfully perfect birthday! Happy Birthday, Henry! 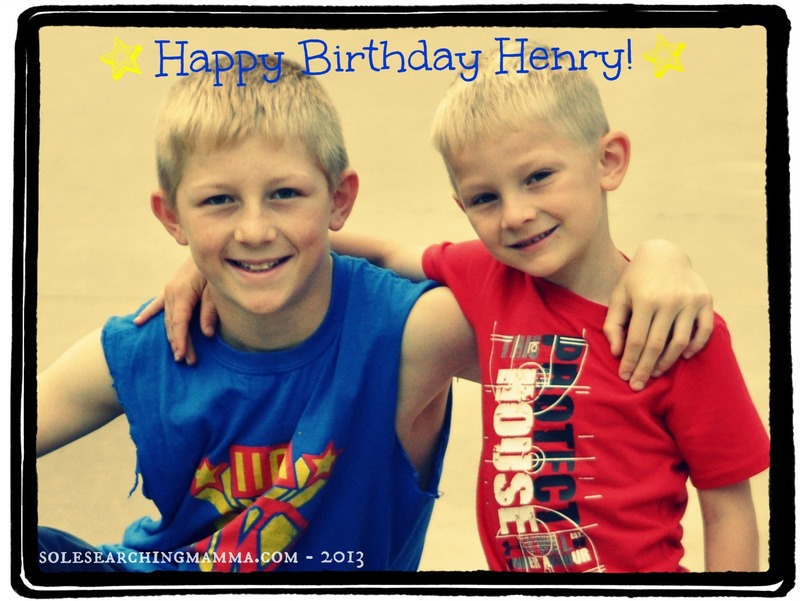 Happy Birthday, Henry! I think you and my E Man would be great friends if you lived closer! Great friends, indeed. We definitely would have loved helping you celebrate your birthday in the park. Six is such a great age! Change and growth can be seen every day but that last lingering childish innocence is still so present it's almost tangible!